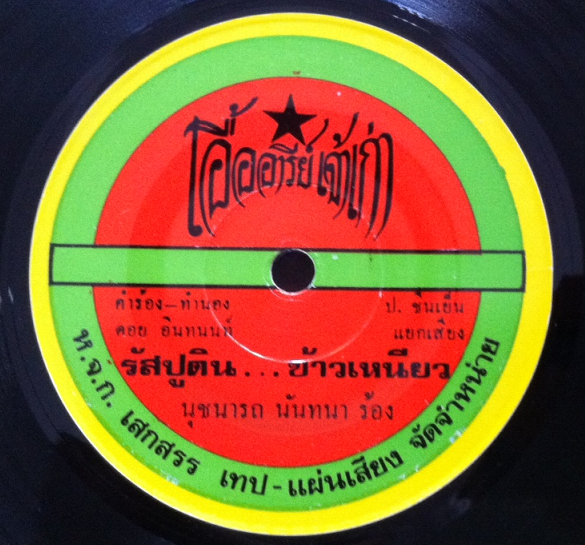 Jan Molam : 45 of the week - Thai goes Disco - "Rasputin...Khao Niao"! 45 of the week - Thai goes Disco - "Rasputin...Khao Niao"! Since my previous posts cover early seventies stuff I decided to leap forward into the late seventies and into Disco! It is still surprising for me to see how popular songs like "Dschingis Khan", "Rasputin" or "Kung Fu Fighting" still are in Thailand. Once you listen to the Thai Versions you will realise how great some of these tunes are. So to pay respect to Disco pioneers like Frank Farian (German Writer, Producer and Singer of Boney M) I picked my favorite Thai Disco number, Nutchanat Nantana and Rasputin...khao niao. Khao Niao means sticky rice, so I assume that Miss Nantana is from Thailands North East. 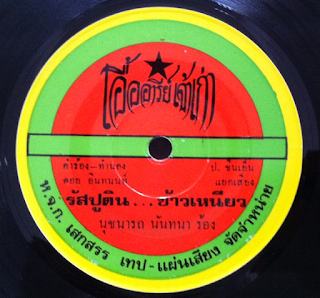 Another great cover version is to be found on the first Zudrangma Thai Funk CD, by Pannada Chayapark. To me, Nutchanat Nantana's is the better one - enjoy! Very interesting music blog you have here, I'll be checking it out often. I live in Thailand, have lived here for nearly 40 years now, since the late 1970s. And I have an interest in Thai culture & Thai music. Thanks for making this interesting blog. hanks for making this interesting blog.